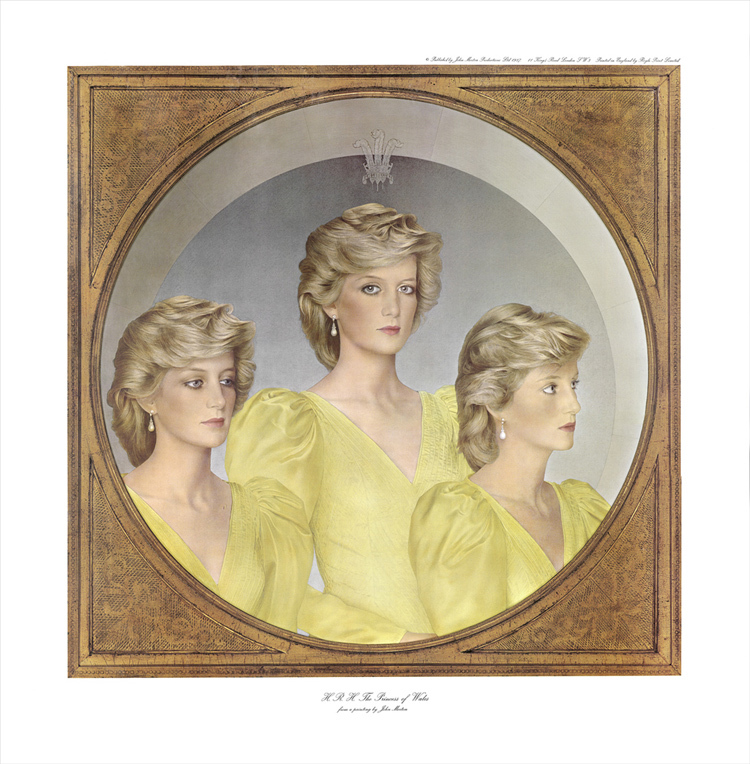 Magnificent RARE Diana triple face portrait by John Merton. of the last century, and enjoyed a reputation for depicting sitters at their best. is undoubtedly the most beautiful woman I have ever painted, Merton said. one at Kensington Palace and four more at his studio near Marlborough in Wiltshire. Merton worked on the picture for around 1,000 hours. arrived on an official visit with the Duchess of Cornwall. Please allow 1-2week for delivery. I'll ship as quickly as possible. The print is 24" X 24". The three portraits are in an oval surrounded by what looks like a gold frame. It can be framed without matt due to gold motif frame surrounding the portrait.